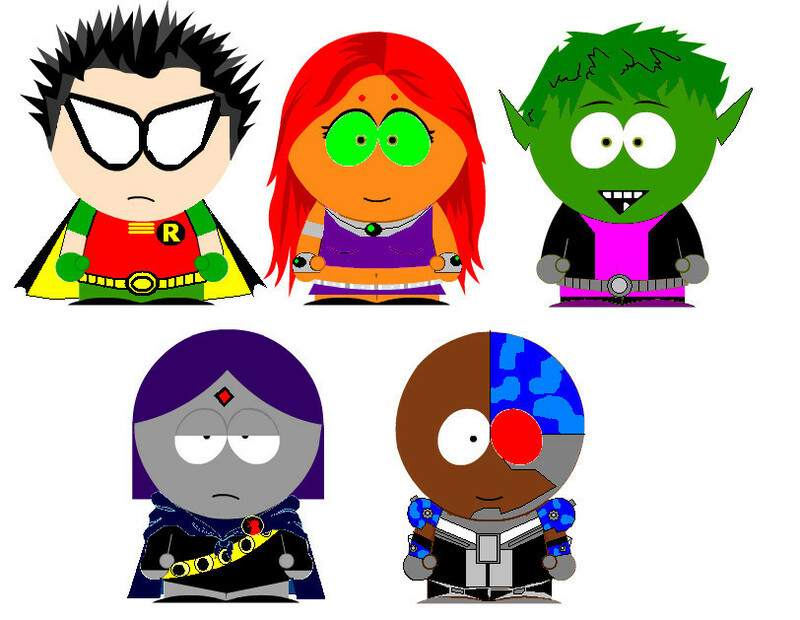 Teen Titans in South Park. . HD Wallpaper and background images in the 틴 타이탄 club tagged: teen titans teen raven robin titans starfire beast boy cyborg. This 틴 타이탄 photo contains 벤 다이어그램, 벤의도, and 벤의 다이어그램. There might also be 컴팩트 디스크, 콤팩트 디스크, and cd.